Goldman Sachs Private Wealth Management has appointed a new region head in Florida and Latin America, the company says in a statement. Rob Barlick is taking over both regions as Greg Ferrero transitions from region head of private wealth management in Miami and West Palm Beach, according to Goldman Sachs. Ferrero has been registered with the firm during his entire 28-year career in the securities industry, according to his BrokerCheck profile. After 17 years as a private wealth advisor in the New York region, Ferrero became region head in Florida in 2007, according to the statement. Barlick began his industry career at Goldman Sachs as well, in 2000, according to BrokerCheck, and joined the firm’s private wealth management unit in Miami in 2004, the company says. There, Barlick built and oversaw “a highly successful” team and became a member of Goldman Sachs’s private wealth management Advisors Council in 2015, according to the statement. He was named managing director last year, the company says. 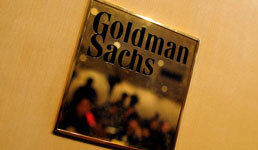 In recent months, Goldman Sachs has been revamping its wealth management business, which manages around $450 billion, according to a May 31 presentation from the firm. To drum up business and catch up with rivals Morgan Stanley and Merrill Lynch — each of which oversees more than $2 trillion — Goldman Sachs wants its investment bankers to lure more wealth management business, Bloomberg reported in July. Earlier that month, the firm appointed a new regional director for its San Francisco private wealth management division. And the company’s recent deal with Google to provide financial coaching to its U.S. employees through its financial planning subsidiary Ayco suggests the firm could be warming up to rolling out a robo-advisor for smaller investors. Currently, the firm’s private wealth management division serves investors, families, endowments and foundations that invest a minimum of $10 million with the firm, but Goldman’s share of the ultra high net worth niche is currently just 2%, according to Bloomberg.